This summer jam, all day long. 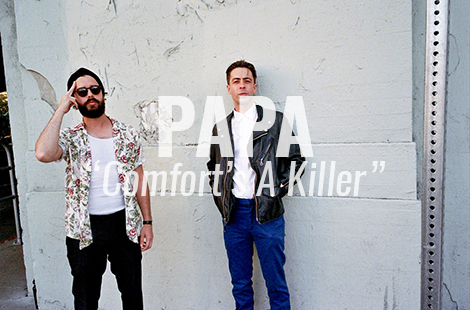 Here’s “Comfort’s A Killer” by PAPA, from their upcoming Hit City U.S.A. release Kick at the Dust. PAPA‘s new album Kick at the Dust is an affront to the burden of modern “culture” and an assertion of personal identity, defined through independent thought rather than a “lifestyle” that’s been packaged and sold. Look for the album out Sept. 16, 2016, on Hit City U.S.A.